Pioneers in the industry, we offer maize cleaning equipment, wheat and millet cleaning plant, cumin seed cleaning machine, seed/jeera/pulses cleaning sorting plant, pulse processing machine and jeera cleaning machine from India. 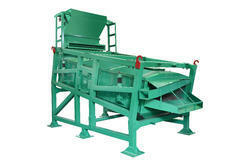 We are leading manufacturer and exporter of Maize Cleaning Equipment. 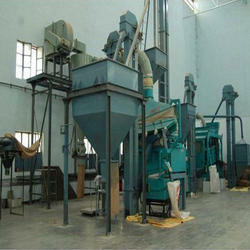 We are the leading and prominent Manufacturer and Exporter of Wheat and Millet Cleaning Plant. 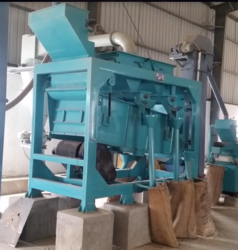 We are one of the most leading company engaged in providing Cumin Seed Cleaning Machine and Cumin, Fenugreek, Ajwain, Soaf and other whole spices. We are one of the prominent organization engaged in offering a wide range of Seed Cleaning & Sorting Plant. 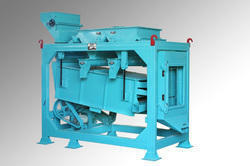 We are leading and prominent manufacturer and exporter of Pulse Processing Machine. 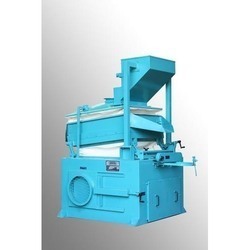 We are leading manufacturer and exporter of Jeera Cleaning Machine. We are eminent manufacturer and exporter of Coriander Cleaning Machine also Cumin, Fenugreek, Ajwain, Soaf and other whole spices. 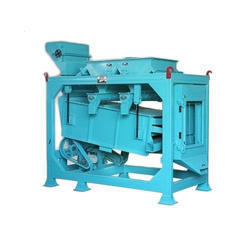 We are leading manufacturer and exporter of Seed Cleaning Machine. 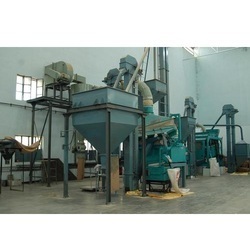 We are one of the most prominent manufacturers and exporter of Seed & Grain Processing Plant. We are one the most important organization engaged in offering a wide range of Automatic Chilly Cleaning Plant, also known as Whole Chilly Cleaning. It removes sticks, leaves and fine dust. This range of grain cleaner is very effective in cleaning & grading spice- seeds, grains, pulses and other food grains. Both cleaning & grading functions are combined in a single unit which is enabled by Sturdy tubular frame construction to support the whole cleaner unit. An eccentric drive management is dynamically balanced which ensures vibration free reciprocating motion. 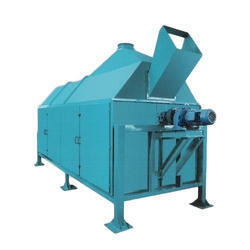 We are engaged in offering a wide range of Pulse Cleaning Plant. With the aim of making pulse processing process easy, we are working as a reputed preparer. We are offering Pulse Processing Plants of several models, sizes and specifications so as to meet requirements of small as well as large-scale pulses producers. These pulse processing machines are well praised by users for decline manpower cost and saving lots of time. Our grain processing machines are capable of efficiently completing tasks like washing, cleaning, polishing etc. in a simple process. We are one of the most prominent organizations engaged in offering a wide range of Mongdal Cleaning Machine. 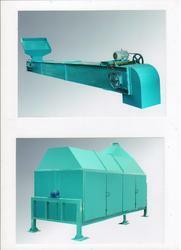 We are leading manufacturer and exporter of Food Grain Cleaning Machine. We are leading manufacturer and exporter of Cleaning Machine. 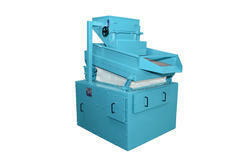 We are one of the most prominent manufacturers and trader of Mustard Seed Cleaning Machine. Variable Speed drive facilitates to adjust optimum speed for best cleaning results. The outboard bearing isolation mount combined with advanced balancing systems make the frame vibration less, allowing the machine to be operated on any structure. We are leading manufacturer and exporter of Pulse Cleaning Machine. Chilly Cleaner Machine or Spices Cleaning Plant is very ideal for cleaning of whole chilly cleaner, Which Separates fines, dust, heavy stones & loose stems from whole chilly. There is Aspiration system. It removes sticks, leaves, and fine dust. 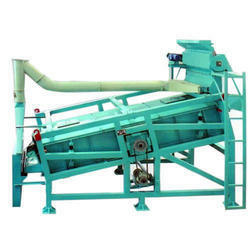 We are one of the most eminent manufacturers and trader of Flax Seed Cleaning Machine. 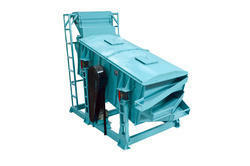 We are one of the leading organization engaged in providing a wide range of Grain Cleaning Machine. Versatile any granular separations into lights & heavies. Practically vibration less finely counter balanced drive arrangement. New air throat design, no loss of good product. 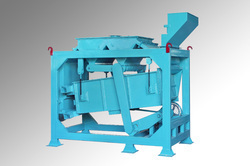 We are leading manufacturer and exporter of Pre Cleaning Machine. Ball compartments incorporated into the screen support grid allow an optional ball cleaning system. Quick access clamps permit easy access for interior cleaning and faster screen changing. Optional stainless steel construction permits the machine to be used for food, chemical and other specialized application like de-watering. 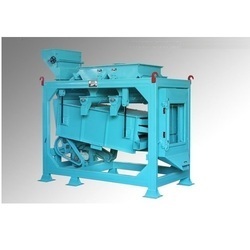 Soya Seed Cleaning Machine, Maize, Sunflower, Mustered, castor, groundnut, etc. We are one of the most reputed organizations engaged in offering a wide range of Fine Cleaner. These comprise scalping deck including two cleaning decks so as to perfectly match up with the process application requirements. Most suited for the fine cleaning & grading of Spice-Seeds, Grains, Pulses & Seeds. Sturdy tubular frame construction to support the whole cleaner unit. Dynamically balanced eccentric drive arrangement ensures vibration free reciprocating motion.